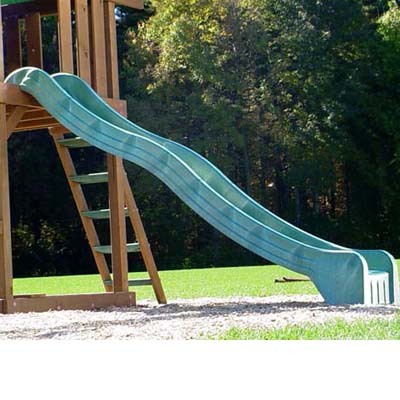 Mega Heavy Duty polymer 3 metres/10ft wavy slide. 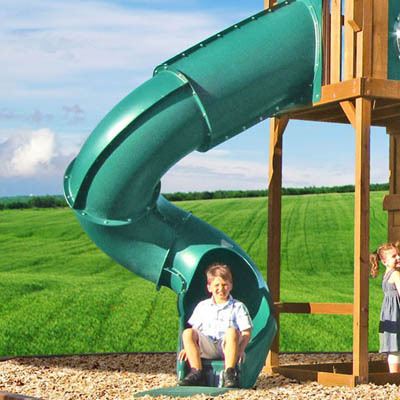 Ideal for ‘Home Build’ DIY climbing frame. Sits on flat wooden platform from a height of 1.5 metres. 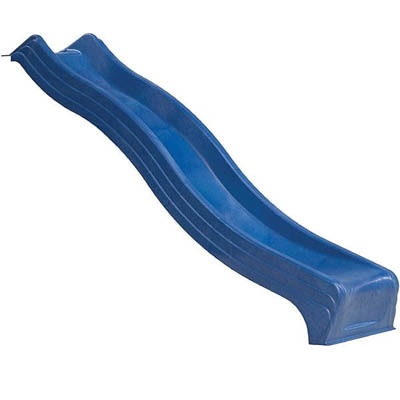 Blue Three Metre Slide.Heavy duty polymer wavy slide. 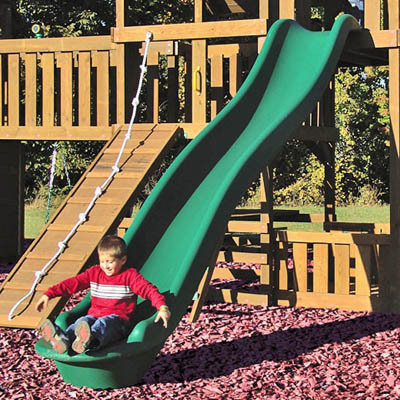 Ideal for ‘Home Build’ DIY climbing frame. Two countersunk woodscrews required to attach slide onto your climbing frame platform. 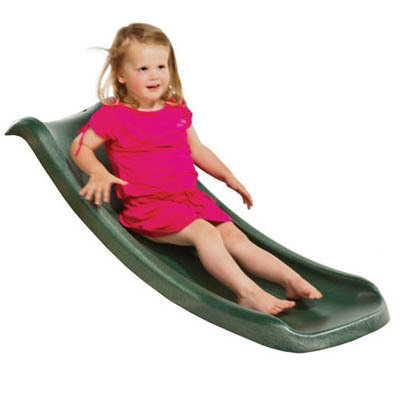 This is a Heavy duty slide, weighing 16 kg. 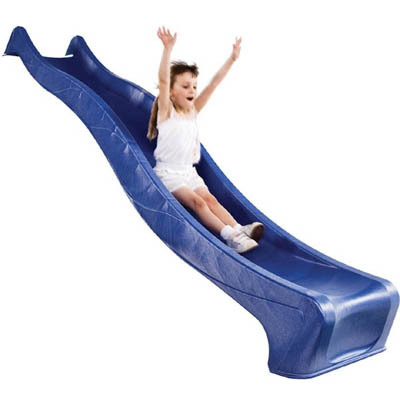 These contain more plastic (when moulded) than the traditional ‘budget slides’ – thus will carry more weight!